Criminal Trial Attorney Michael A. Rataj - Oberheiden, P.C. Michael A. Rataj is one of the most renowned, respected, and sought after criminal trial attorneys in the federal justice system. Michael has served as lead trial counsel in some of the country’s most watched public corruption, RICO, and federal fraud cases. He offers his clients close to three decades of proven courtroom experience and clients can expect a fearless, highly sophisticated, and passionate advocate that will fight to the best of his ability to prevail. Criminal Litigation. Michael sees opportunities where others see challenges. Clients contact Michael when everything is on the line and defeat is simply not an option. A great number of those cases involve physicians, politicians, and law enforcement personnel under investigation by the FBI, the Department of Justice, and other federal agencies. Hundreds of vitriolic courtroom battles have invigorated Michael against any and all prosecution tactics and have shaped his presence as a trial lawyer with a big heart who valiantly helps his clients. Trial Practice. Michael defends clients in all stages of federal investigations, from initial notice to trial and appeal. His mesmerizing presentations, his astute but brutal cross-examinations, and his ability to bond with jurors through common sense, humor, and plausible arguments has allowed him to obtain trial victories, acquittals, non-prosecution agreements and dismissals in a wide variety of cases. Michael has been featured on major media networks and regularly appears as a legal expert on Detroit television stations. 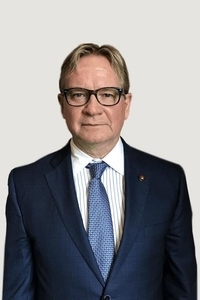 Michael is a member of the National Association of Criminal Defense Lawyers, the American Law Society, the Criminal Defense Attorneys of Michigan, the Federal Bar Association and the Detroit Bar Association. Michael was voted by his peers as a Super Lawyer (2013-2018) and has a top ten ranking by the National Academy of Criminal Defense Attorneys. Michael was also recently selected by his peers to join “The Nation’s Top One Percent” by the National Association of Distinguished Counsel. Client Services. Michael has defended over a thousand felony cases including public corruption, murder, criminal conspiracies, RICO and organized crime cases, drug offenses, Medicare fraud, and money laundering—all adding to his sterling reputation as a preeminent trial attorney who is both feared and respected by prosecutors and widely esteemed by sitting jurors and state and federal judges. Michael is a proud member of the United States Marine Corps and he lives with his family in Detroit, Michigan. He is a member of the Michigan state bar.